The cruising industry is off to a good start in 2014 with lots of good news for family vacation planners from CLIA, the industry’s trade organization. Their member cruise companies, whose 410 member vessels represent 95% of global cruise capacity, are expecting to float 16 new cruise ships with 20,000 berths in 2014. Yikes! More mega-ships like we’ve seen the past few years? Actually, noted Christine Duffy, CLIA’s President and CEO, in her annual address to the media, the majority of new builds are in the river cruise specialty niche. In keeping with a recurring theme toward customer personalization — one we’ve seen as families become more selective about how they spend their vacation dollars — river cruises, yachts, affinity or “themed” cruises and more exotic shore excursions are in the pipeline. That’s great news for families, especially for first-time cruisers who are curious about travel by sea but not interested in the fun megaships where onboard activities take precedence over the destination or land activities. CLIA research and anecdotal evidence suggests that multigenerational travel is one of the cruise industry’s fastest growth segments. Carnival Cruise Lines, for example, carried more than 700,000 passengers under the age of 18 aboard its 24 ships. They found that more than 50% of the 1.9 million bookings are for multiple cabins, suggesting many multigenerational vacations in the making. Similarly, while the “average age of cruisers” remains fairly consistent, the passenger age dispersion has changed to include many younger passengers and many more older passengers as part of the mix — all indications that for Carnival, at least, cruising is a family affair. In more family news, Carnival is expanding their dining options by adding Italian, Asian and steakhouse outlets and all will have menu items to satisfy the growing number of food restricted and vegetarian passengers. The Carnival Seuss At Sea program will offer character interactions with Dr. Seuss’ favorite storybook heroes, and activities such as a Green Eggs and Ham Breakfast event. With multigenerational and “celebration” or family milestone vacations up, the megaships are adding amenities such as more seating near activities, so that grandparents can watch and take pictures of their grandchildren playing shuffleboard (Carnival), bowling (Norwegian) or taking on the Flowrider simulated surfing machine (Royal Caribbean). With the Millennial generation of parents requesting more active and recreational options, ships are offering a larger variety of adventurous shore excursions as well. In welcome news for travel agents, the older generations prefer custom counseling and agencies that specialize in cruise bookings are seeing continued growth for 2014 and 2015. Vacation planners can go to Cruising.org for help in locating a cruise travel specialist to assist them in booking. Cruise-goers are more sophisticated in their knowledge and demands than ever before; therefore, pay as you go amenities are increasing too. At Norwegian, a new teppanaki restaurant where a Japanese chef performs knife tricks, has created a booming market for custom photos of grandkids “helping” the chef cook family feasts. At Carnival, grandparents can review the onboard photo gallery and, instead of just ordering family photos, they can have a custom photo album book about their cruise printed and shipped out to all family members. New ships have larger family suites, connecting cabins, as well as truly luxe accommodations on the Spa deck designed for adults who want more space on the inside and more privacy in the outer public areas. Similarly, most of the large cruise lines now offer a la carte dining venues (many run by celebrity chefs) open to all passengers for an additional fee. A la carte ticketed entertainment is also becoming more common. The Norwegian Getaway made her maiden voyage in early 2014 with a Grammy at Sea lounge and the Illusionarium (a magic show), both evening activities that will give younger cruisers and their parents and grandparents a way to stay together after the family supper. More innovative programming comes from the smaller, specialized companies that are looking to attract the new multigenerational market. Many are providing more onboard activities and age-appropriate shore excursions. Croisieurope is Europe’s largest cruise operator, carrying more than 200,000 passengers on river trips to destinations ranging from Portugal in the West to Romania in the East. They welcome children under 12 on all their itineraries and have discount pricing for the third berth in each cabin. New, customer-focused Europe itineraries include gourmet barge cruises on the French canals, golf themed cruises, and Normandy shore excursions to mark the 70th anniversary of D-Day. The moderately priced Croisieurope is also used by tour operators such as Road Scholars and Collette Vacations to operate their group tours. Fully aware that 80% of the US population have never been on a cruise, the industry is championing National Cruise Vacation Week each fall. During this period, consumers can expect to see more promotion and many discounts offered, especially to attract first-time cruisers — a group that has expressed very high satisfaction levels and are likely to become repeat customers. At Azamara Club Cruises, a small luxury line popular with couples, the “Azamazing” program allows passengers to explore destinations at their leisure, after dark. No more scrambling to race back to a ship that’s about to set sail; each port’s nightlife is made available because their ships spend the night docked in local harbors. And upscale cruisers with teens or adult children, especially those who are into fine food and wine, will appreciate the freedom that this affords them for extra cultural exploration. 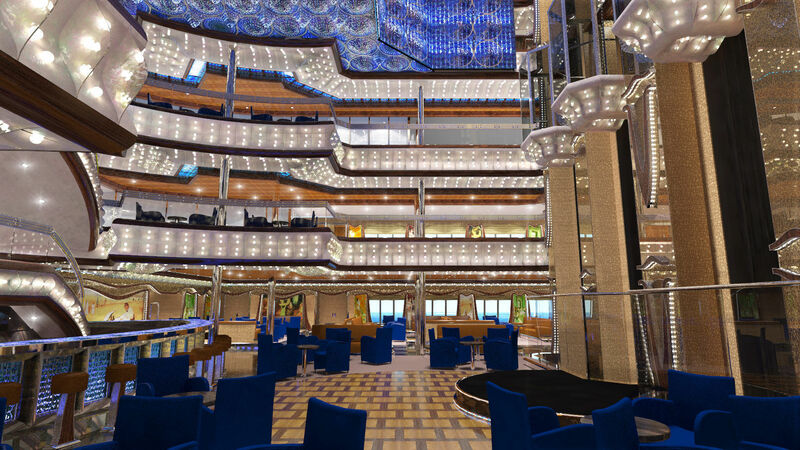 The Italian based Costa Cruises and the luxury line Crystal are also focusing on more play in port, less time at sea. Crystal Cruises now offers five-night itineraries that allow passengers to track gorillas in Rwanda or explore Tibet, depending on interest, and three-night excursions from the port near Bangkok to see Angkor Wat, Cambodia. Similarly, a longer 14-day itinerary from Holland America Line, which has always had deep ties (including many onboard staff) with Indonesia, now calls at several new islands in the Indonesia Archipelago including Komodo, land of the endangered, meat-eating komodo dragon lizards. 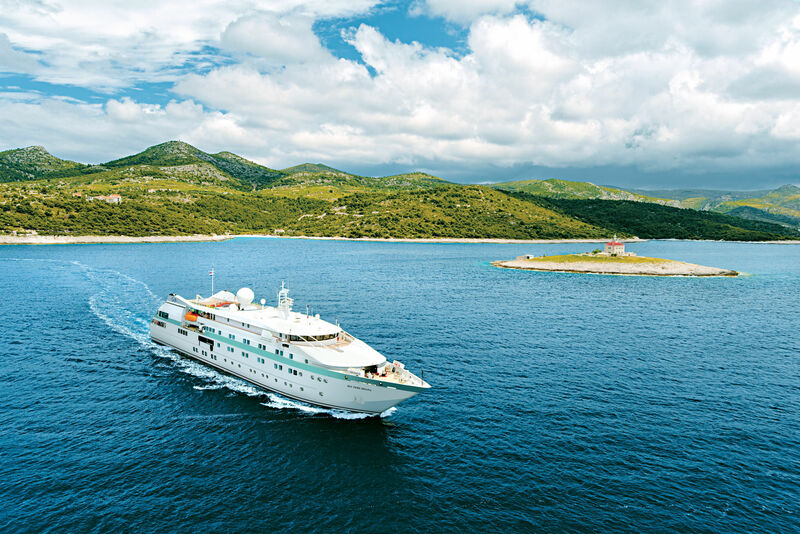 Small companies such as Voyages to Antiquity (see our review) thrive on elevating their ports of call above the day-to-day cruise experience, although that is wonderful too. What’s new is that the major cruise lines are also offering alternative shore excursions to appeal to those who’d rather get their ‘travel bug’ satisfied on land than at sea. Hurtigruten is a classic example, a Norway-based ferry system that has blossomed into a cruise vacation experience for those who want to explore the country’s beautiful fjords and learn more about Scandinavian culture. With its unusual itinaries and access to many small ports of call, this line has seen a big increase in passengers from North America, even on its winter sailings. Over at the classic Cunard Line, CEO David Dingle told Travel Agent magazine that the line’s focus was on strengthening its British traditions and distinctive luxury image. “Particularly as we lead up to both the 10th anniversary of Queen Mary 2 and in 2015 Cunard’s 175th anniversary — weíre very much looking back to transatlantic heritage and, for instance, bringing in other traditional ports of call.” With the legendary transatlantic crossing being Cunard’s most successful itinerary, Cunard plans to unveil other ports of call such as Liverpool, UK and Halifax, Nova Scotia on those crossings. According to CLIA’s marketing chief, Jim Berra of Carnival Cruise Lines, repeat cruisers have become more demanding of comfort and amenities at sea. With the relentless call of email and internet-based applications, the demand for affordable, high-speed communications and broadband access has spawned new technologies, such as low orbital satellites. A new company O3B is working with Royal Caribbean to test new services on Quantum of the Seas (see our review), what pollsters say is the industry’s most highly anticipated ship for 2014. A recurring theme in all aspects of travel trends forecasting has been the “mass customization” of the vacation experience. Cruises are no different, because the internet is allowing vacation planners to research their own style of vacation, compare prices till they find what they can afford, and add onboard activites and shore excursions to create a custom version of the ideal cruise vacation. That’s all good news for first-time cruisers and a welcome opportunity for repeat ones. And in another key aspect of transparency, more govenment regulation of safety and operations has descended upon the cruise industry in the past year. Proactively, CLIA members have developed a Passenger Bill of Rights. That, along with new safety guidelines proposed by the U.S. Coast Guard and other agencies add up to more good news for everyone who sails the high seas.